One of the companies that had its gaming licence suspended last week. Lawyer David Gonzi is under investigation by Italian investigators after his name cropped up in several gaming companies allegedly run by the mafia. The name of former prime minister Lawrence Gonzi’s son crops up several times in a 700-page document submitted by investigators to the Reggio Calabria tribunal and seen by the Times of Malta. He is one of 128 people listed in the investigation into money laundering by the Calabrian mafia, known as ’Ndrangheta. Hard cash obtained through illegal means was allegedly recycled through ‘legitimate’ gaming outlets in Italy, Malta and other countries. David Gonzi’s name emerged as a result of his one-third shareholding and directorship in GVM Holdings, a company that provides fiduciary services. Through his partnership in GVM, Italian investigators place Dr Gonzi at the heart of a pyramidal company structure behind the Italian gaming companies registered in Malta. He is the only GVM partner mentioned by name. His presence has been vaunted by Italian investigators as the mafia’s ability to infiltrate the highest levels of society. “The involvement – which has emerged many times even if not sufficiently explored – at the heart of the pyramid of multinational companies in the [gaming] sector, operating in the Maltese territory and with a Maltese licence, of David Gonzi, son of former Maltese prime minister Lawrence, has to be underscored. When contacted yesterday, Dr Gonzi said his participation in the structure was limited to holding shares on behalf of a third party that was disclosed to the authorities and providing legal services to one of the companies last year. “Any statement that says something to the contrary is not well studied and reaching a conclusion without looking at the relevant facts in detail,” Dr Gonzi said. He insisted everyone could check that GVM had a licence to act as a fiduciary and was authorised to hold shares on behalf of third parties on which all due diligence was carried out. The third parties were known to the authorities and vetted by them, he added. When it was pointed out that he was the only partner in GVM to be mentioned by name by the Italian investigators, Dr Gonzi said this was “one of the defects” of the report. He said his contact with one of the betting firms, BetSolutions4U Ltd, started in October 2013, when he was introduced by way of his law firm. Dr Gonzi confirmed that “from time to time” he was asked to provide legal services to the company. He said that following last week’s developments, he informed Betsolutions4U in writing he was terminating the provision of legal services. 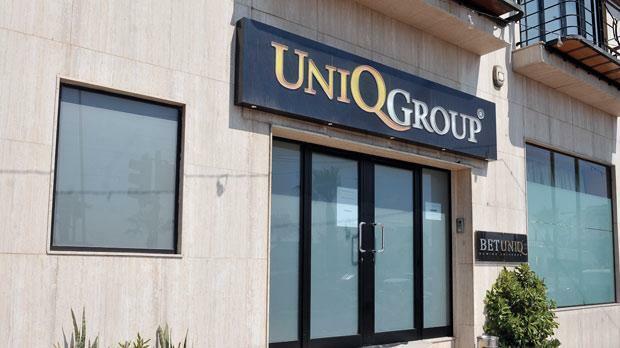 Research conducted by the Times of Malta shows that GVM Holdings is the sole shareholder in a number of companies that are, in turn, shareholders in key companies such as BetSolutions4U Ltd and UniqGroup Limited. These had their gaming licences suspended last week by the Malta Gaming Authority following the investigation by Italian police. Dr Gonzi said GVM Holdings had terminated all fiduciary contracts with the Italian nationals and companies that were identified in the Italian police investigation. “In my personal capacity and on behalf of GVM Holdings, I have been in touch with the Malta Financial Intelligence Analysis Unit and will make myself and GVM fully available for any investigations both locally and in Italy,” he said. The Italian investigators’ report also carried a brief background on Dr Gonzi’s professional career as a lawyer specialising in the iGaming sector. Making reference to the business information database Mint Global, the report said Dr Gonzi was the director, ultimate owner and shareholder in 63 gaming companies registered in Malta. Asked whether GVM was aware of the money laundering going on through the betting companies, Dr Gonzi said there was no indication that something was wrong. In addition, in all cases of companies that have a gaming licence, the Maltese authorities carry out extensive and rigorous due diligence processes to verify that the ultimate beneficiaries are of good standing. In the case of all such GVM clients, including the ones being investigated, the Maltese Gaming Authority and the company’s Banks successfully completed this due diligence process. GVM itself carried out its own due diligence process to ascertain that the individuals concerned were of good standing. This was done by requesting certified copies of the ultimate shareholders’ passports, proof of residential address, as well as copies of their police conduct records. Since my first contact in October 2013and since becoming a director in December 2014, we have never ever had any reason to suspect that the companies mentioned in the investigation were involved in any unlawful activity whether in Malta or elsewhere. It was only on this basis that the companies involved were accepted as clients of GVM. So far, the Italian Authorities have not approached me. I have already taken action to provide all the necessary information to the Maltese authorities, including the MFSA and the FIAU (Malta Financial Intelligence Analysis Unit). I shall also be directly contacting myself, over the coming days, Italian and Maltese police authorities to clarify my position. However, at this stage I must clarify that the report drawn up by the Italian investigators is factually incorrect as it fails to recognise that GVM is a licensed fiduciary company which holds shares on behalf of beneficial owners disclosed and approved by the Malta Gaming Authority, that I am one of three shareholders and that I have only been appointed as Director since December 2014. In a 770 page document, it would be expected that a statement that I am involved “at the centre” of the network should have been backed up by some sort of evidence of which obviously there is none. In all fairness, the report itself states that the conclusion ‘requires further investigation’ and is ‘pending necessary further investigation’.